These two Vincci Hoteles properties have been chosen to form part of this exclusive brand which brings together the best hotels across 85 countries. The inclusion of Vincci Selección Posada del Patio 5* (Málaga) and Vincci Selección Estrella del Mar 5* (Marbella) is based on the fact that both hotels follow strict quality and service parameters, which correspond to the demanding criteria of the brand. 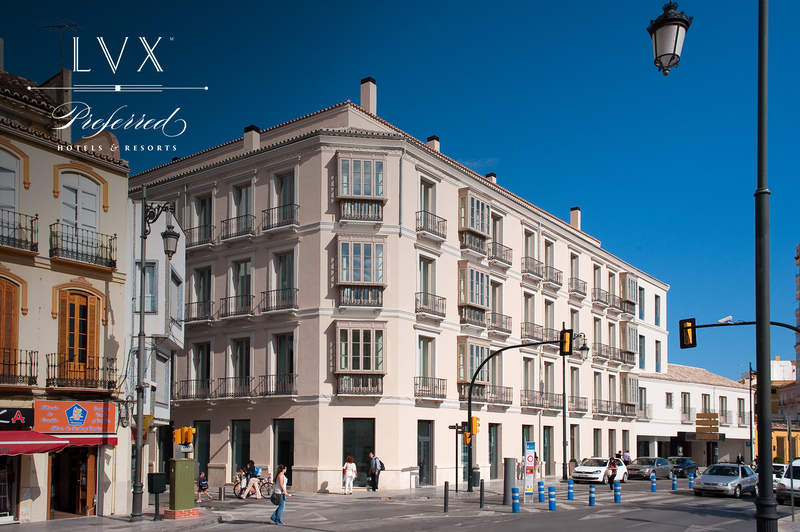 What’s more, both Vincci Hoteles have been included in the LVX collection, which has just 15 hotels in Spain, and includes those properties with the very highest levels of service among other things. Vincci Hoteles is now part of Preferred Hotels & Resorts, with two of its most exclusive properties, Vincci Selección Posada del Patio 5* (Málaga) and Vincci Selección Estrella del Mar 5* (Marbella, Málaga), being chosen as members of the brand which brings together the best hotels from 85 countries. Every establishment selected to become a member must satisfy a series of requirements which guarantee the very highest standards of quality. Both Vincci Hoteles fully meet these, are located in strategic areas of particularly renown, as well as satisfying the strict parameters of quality and service which correspond with the demanding criteria of the Preferred Hotels & Resorts brand. 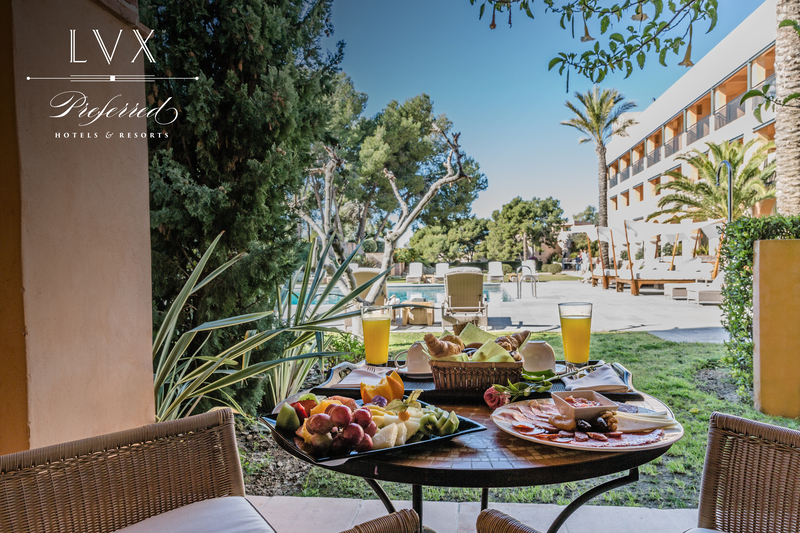 Preferred Hotels & Resorts offers various collections based on the type of luxury experience sought: Legend, LVX, Lifestyle, Connect, and Preferred Residences. 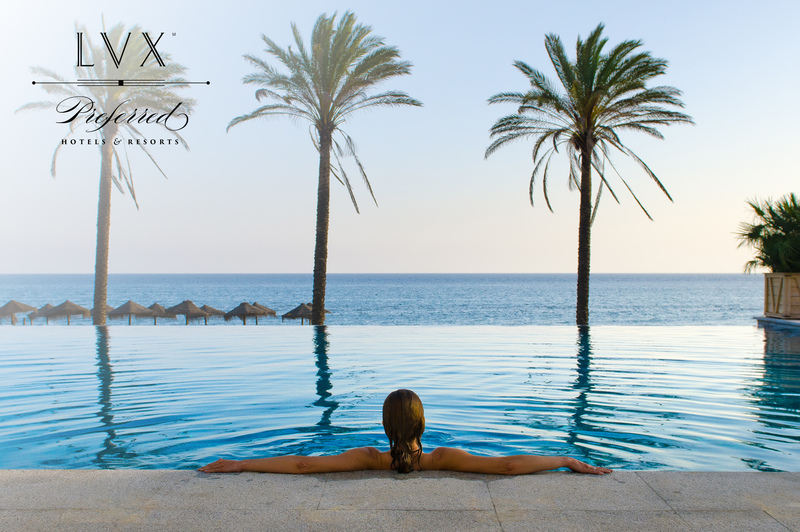 Both Vincci Selección Posada del Patio 5* and Vincci Selección Estrella del Mar 5* have been selected to form part of the LVX collection, which has only 15 properties in Spain and offers the finest accommodations, with the highest level of service, with gastronomy taking centre stage. Head of Commercial Strategy and Revenue Management at Vincci Hoteles, Amaya Lacambra, said that the selection of these two hotels from the Vincci Hoteles chain by Preferred Resorts & Hotels was “an exceptional mark of quality that recognises these two properties as among the most highly recognised and sophisticated in their category, and a guarantee of a top-quality experience as well as superb customer service for the clients”. Vincci Selección Posada del Patio 5* is the only hotel in the city of Málaga which forms part of Preferred Hotels & Resorts and Vincci Selección Estrella del Mar 5* is the third in the Marbella area. The brand’s clients have various benefits in terms of services: priority check-in and out-, upgrades, free high speed Wi-Fi, etc. What’s more those clients who are members of the iPreferred Hotel Rewards can enjoy additional services and special treatments for belonging to the loyalty programme, such as discounts on hotel services and special welcome packs. Located in the historic centre of Málaga, Vincci Selección Posada del Patio 5* is built on the site of two ancient buildings, one of which was one of the last posadas (old style inns) that existed in Málaga, while the other was a residential building, of which the façade from the start of the 20th century has been preserved. It’s been entirely renovated, preserving the patio that gives it its name and the old hall from the entrance on Calle Camas. 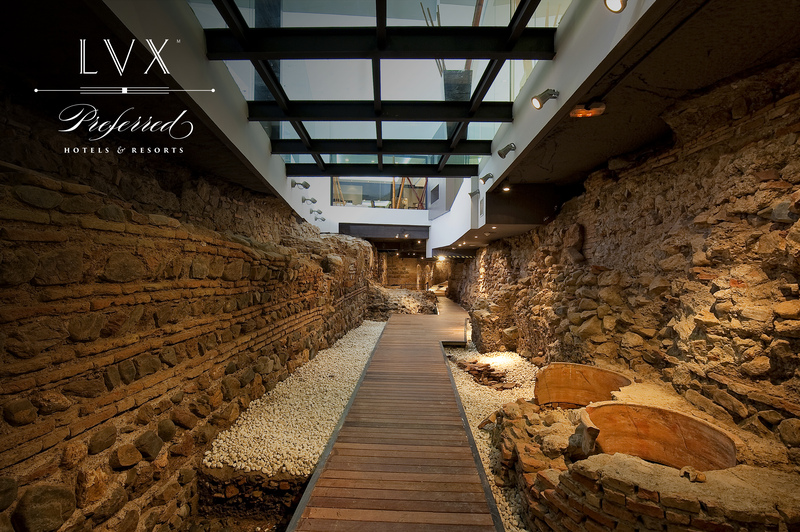 Under the two buildings were found remains of Málaga’s Arab wall, together with remnants of the old Puerta del Río, as well as an old tannery and various tools which are on display in the hotel. It has 106 rooms with every amenity to ensure a unique experience and its à la carte restaurant ‘Le Diner’ is the perfect place to savour the best of Málaga’s cuisine with a sophisticated touch. 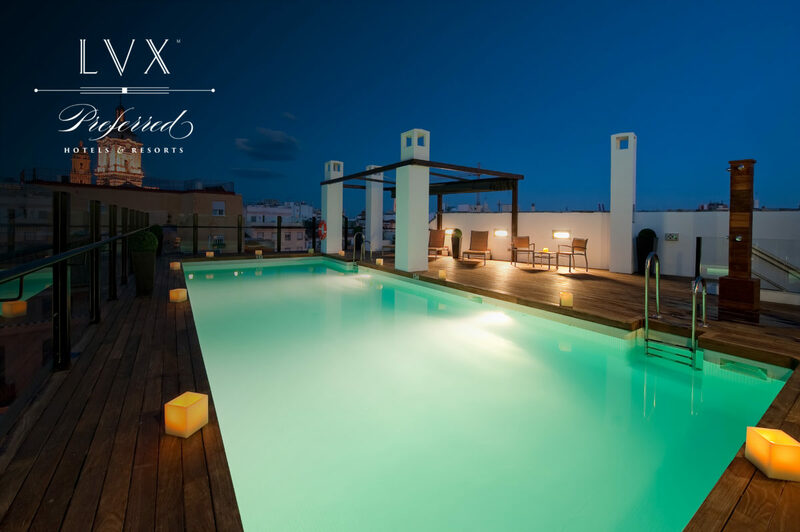 The hotel has a rooftop terrace with swimming pool, offering the finest views of the city of Málaga while you enjoy a refreshing dip. 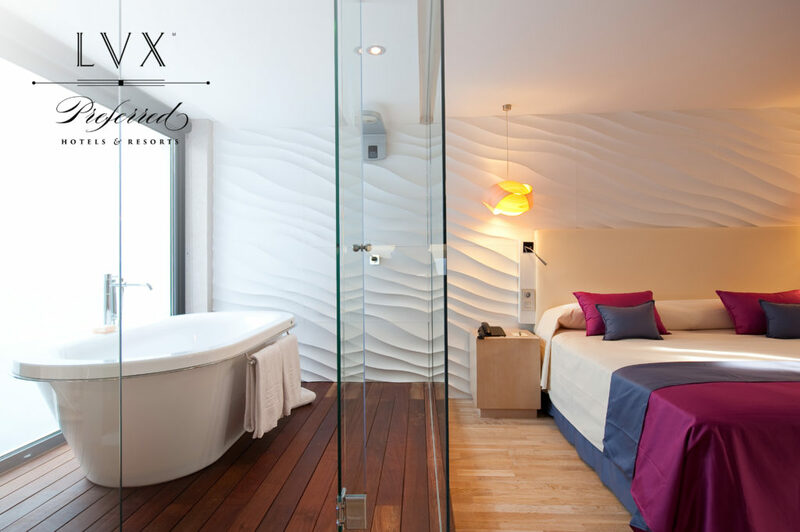 This history-filled hotel is perfectly placed for you to enjoy the city’s attractions, and if you choose you can do so without even leaving the building thanks to the wide range of activities it hosts related to art, music, culture and gastronomy. Just eight kilometres from the centre of Málaga is the hotel Vincci Selección Estrella del Mar 5*, next to the finest strip of sand in Marbella, the Golden Beach. The property is located in 15,000 square metres of tropical gardens with a gorgeous viewpoint and four outdoor swimming pools. 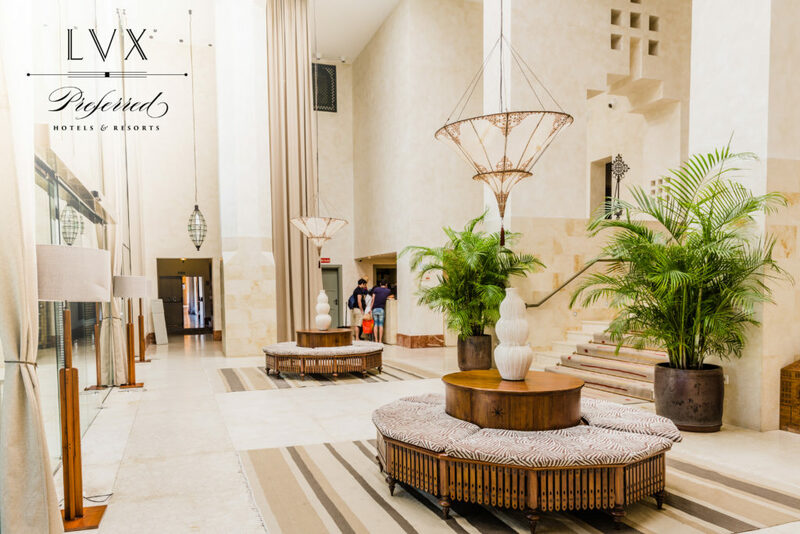 Built in a modern Mediterranean style with Arab influences, it has 137 rooms and suites infused with style and elegance. Vincci Selección Estrella del Mar 5* offers a wide-ranging gastronomic selection, with an à la carte restaurant and table service on the terrace, buffet restaurant with live cooking, a bar with snacks by the pool and the piano-bar in the reception lobby, which also has a terrace. 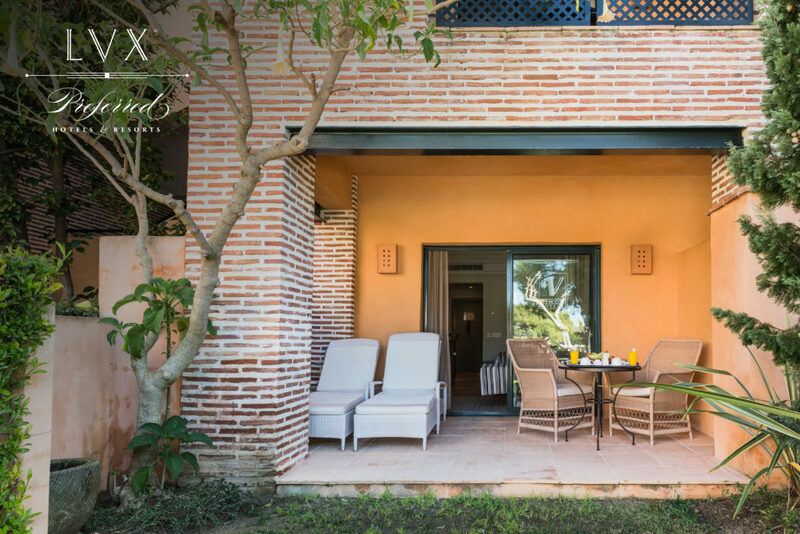 Just yards away you’ll find the Beach Club Estrella del Mar, a space where everything is possible, the perfect place to relax, play sport or work out on the sea shore, swim by moonlight or enjoy a massage after a full day of activities. Open all year round, the Beach Club Estrella del Mar is a unique place to relax, both in the outside facilities or its Nammu Areas Spa: 2,500 square metres of relaxation, offering the finest beauty treatments and relaxing massages, as well as a wide range of activities inside and out (yoga, pilates, personal trainers, etc). For those who want to keep in shape, the Beach Club has a 100-square-metre gym with sea views, Technogym machines and classes adapted to the needs of each client, with the possibility of hiring a personal trainer. This summer, the Beach Club Estrella del Mar has organised everything to ensure the guests enjoy an authentic “Summer Spirit”. 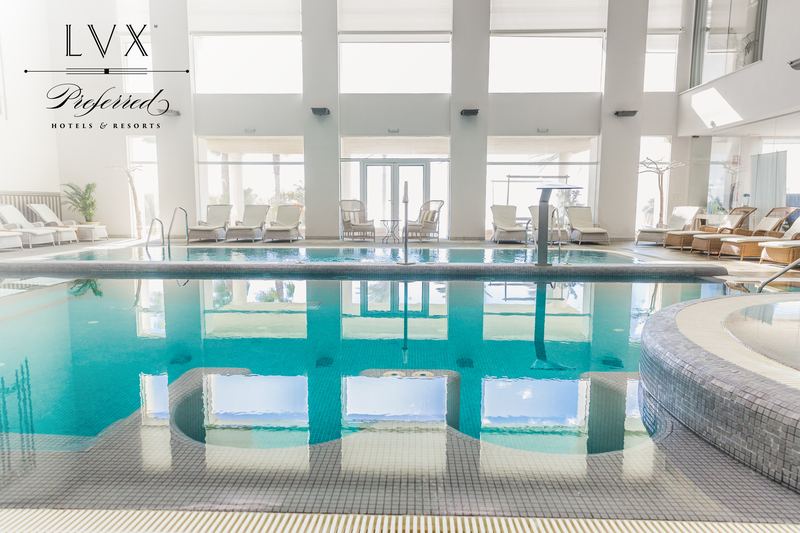 A true oasis of sensations to discover and enjoy the summer feeling to the maximum, right on the Costa del Sol. “Body Spirit”, for those who want to carry on keeping fit during the holidays, with the pleasure of working out in the unbeatable location of the Mediterranean; “Sun Spirit”, for those who prefer to relax on the terrace, in the gardens, by the infinity pool or on the beach, and freshen up taking a dip or enjoying the Marbella sun with the EasySun hammock service; “Gastro Spirit”, for those who want to enjoy the delights of the gastronomic offering at the Estrella del Mar Restaurant; “Sunset Spirit”, for when evening falls, and sundown and its incredible colours take centre stage at the Beach Club with the tardeos evening events; and “Calm Spirit”, in the Nammu Area Spa. Without doubt, it’s one of the best, most exclusive beach clubs in Marbella and well worth a visit any day of the year. A unique place, where the clients can relax and enjoy a truly fantastic experience. Love this hotel line, absolutely the best. Great service and gorgeous looking too. An amazing list of hotels. Thanks a lot for sharing this. Fine work. Keep it Up.